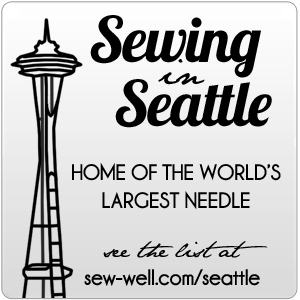 While I haven’t been sewing much, I have been doing a lot of knitting. Sock knitting, specifically. Turns out, socks are the perfect portable project. I’ve been spending a fair amount of time hanging out in hospitals lately (my 93-year old grandma has been very sick), which means lots of time to work on socks! In the last three weeks, I’ve made three pairs of sock and I’m working on my fourth. 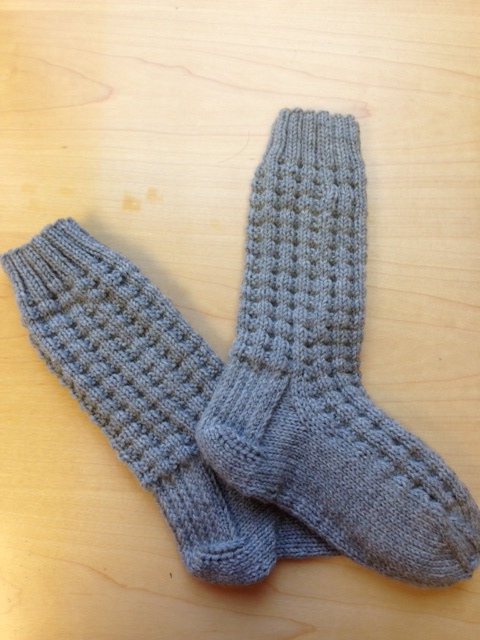 First, I made a pair of socks for my best friend, because she kept mentioning that her life-long goals was to have a pair of hand-knit socks. She described them as a “hug on [her] feet,” which I take to mean she likes them! 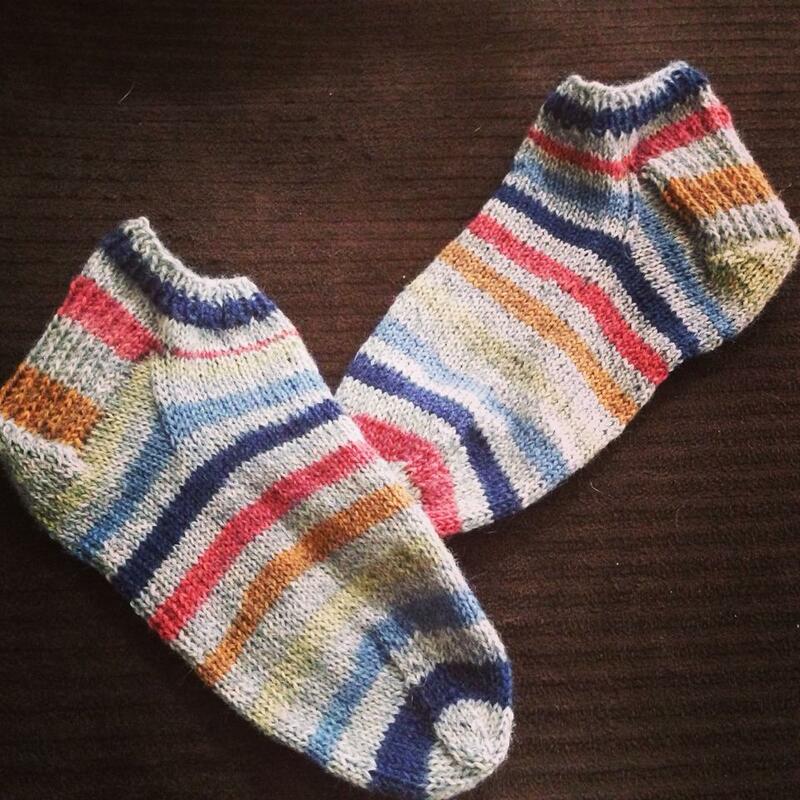 I love the self-striping yarn, though I failed and trying to match the stripes. Whoops. Oh well, they are for me, so I guess it’s okay. 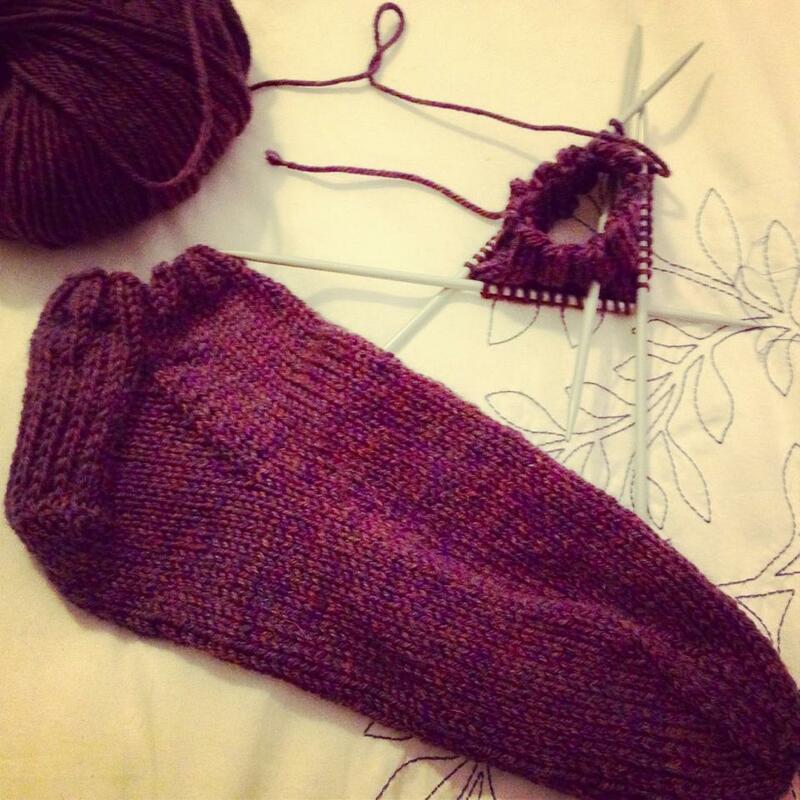 It’s amazing how perfectly socks fit when they are made to your own measurements! In her favorite color, of course. I don’t have a photo of the finished socks because I gave them to her just as soon as they were done so she would have something nice to wear while she was at the rehab center after her most recent hospital visit. But, they turned out well, they fit her perfectly, and she loved them. So, success! Now I’m working on a similar pair in grey for myself, because these were the most comfortable socks I’ve ever tried on! After I finish the grey pair, I’m planning on starting on the Cropped Sweater for Winter. I think I’ll make it out of the same yarn I used for my grandma’s socks – I just love the color and the feel of it. It’s Cascade Superwash in Rainier Heather. I hope your grandmother is feeling better soon. Thanks, Karen! I love making socks, too. They are so quick and easy to carry around to work on whenever you have downtime.